This goes out to the one cup of warm comfort that has always been with me through the many tight deadlines and cold mornings of my adult life – coffee. Its velvety black texture, its rich and soothing aroma, coffee is that friend who always reaches out for you when you need him the most. I still remember when I had my first cup of coffee. I was studying for my exams in college and I had a lot to read and research about. I was feeling very nervous and I couldn’t really concentrate. My mother brewed me a lovely cup of coffee and told me everything was going to be ok. As I talked with her about the subjects I was most worried about, I already felt better and I had the energy to study harder and more efficiently. From then on, whenever I feel like things around me are starting to get a little bit out of control, I take a moment to enjoy a coffee and think things through. Drinking coffee has special meaning to me. It gives me that moment of solace and quiet, like a very good friend saying “Hey, buddy, let’s sit down for a moment and enjoy the silence. Isn’t this nice?” And after I’ve relaxed, it gives me that extra energy to go back and finish what I have to do. 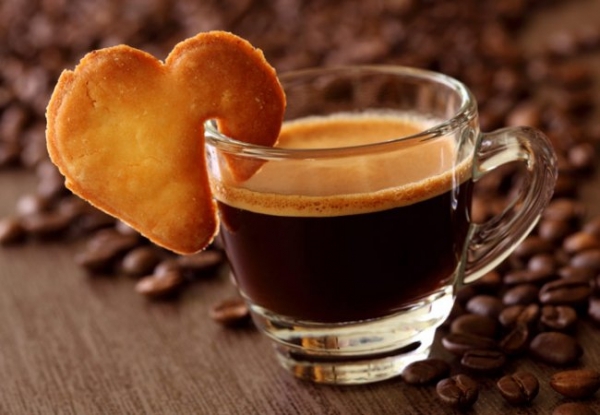 I don’t know what I would do without coffee in my life, and whether I enjoy it black with a piece of toast early in the morning, or milky and sweet with cookies when I go out with my friends, I am forever in love with this wonderful drink that can put a smile on my face anytime! Thank you for being there for me, coffee!